Ireland is the only nation to have a musical instrument as their national symbol, and that instrument is of course the Celtic Harp. This beautiful instrument figures heavily in Irish mythology and folklore, and boasts a singularly lovely sound. Shannon Schumann, a member of De Mairt Ceol and a harpist with The Harp Foundation of Phoenix, teaches Celtic Harp for our Academy. Shannon may be able to help you find an instrument to rent if you don’t have your own. Beginning Harp: No previous musical experience is necessary. Focus is on basic technique and musicianship. There is a required text, which will be supplemented with tunes provided by the teacher. 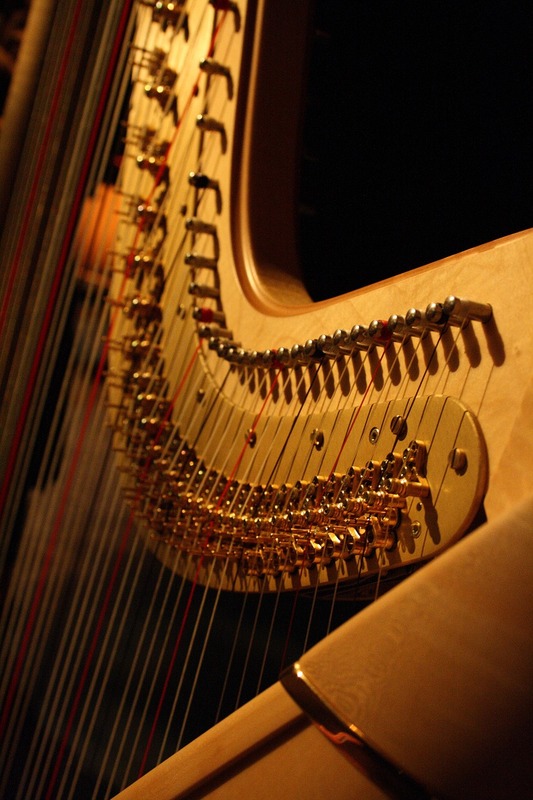 We can help you find a harp to purchase or rent. Intermediate Harp: Facility with simple tunes in both hands required. Depending on the student’s background and experience, there may or may not be a required text. Focus is on Celtic repertoire, style, theory, and arranging. Private Celtic Harp Lessons are available by appointment Thursday afternoons/evenings with Instructor Shannon Schumann.